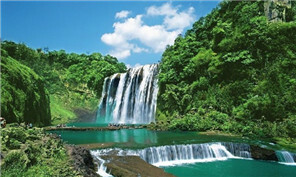 A camping and caravan exhibition will take place at Sanchahe International Campsite in Zhenfeng county. 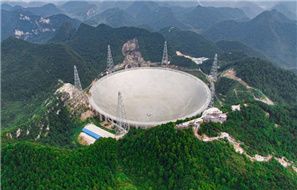 As the world's largest single-aperture radio telescope for scanning the universe - China's FAST - made its debut on Sunday. President Xi Jinping sends a congratulatory letter to scientists, engineers and builders who contributed to its creation. When British fashion instructor Natalie Gibson paid a four-day visit to Beijing to judge a fashion show years ago, she had little inkling that a side trip to a local market would lead to greater journeys. An enthusiast hangs down from the basket of a hot air balloon to perform yoga at Wangfenglin Scenic Area in Xingyi city. The second annual Qiandongnan Traditional Village Summit will be held from Oct 13 to 16 in Qiandongnan Miao and Dong autonomous prefecture, Guizhou province, according to a recent news conference in Beijing. 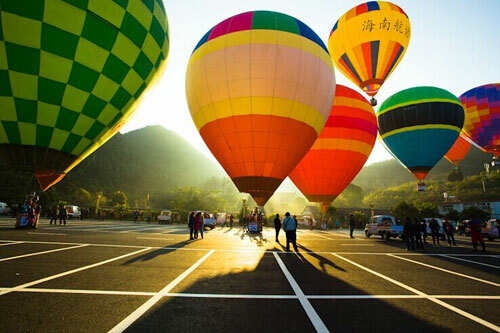 An aviation flight camp opened in Wanfeng forest in Xingyi, Guizhou on Sept 21. Guizhou opened a dragon dance competition in Anlong county.